On this episode, we welcome dynamic El Paso band, Pilots of Venus featuring: Joel Chavez, Stephen Razo, Maribel Hernandez, and Samuel Pedroza. We discuss their time performing at Neon Desert Festival 2018, the music scene, working with Matthew Torres of Siren Sound Production, and their album, "Lady Astronaut." 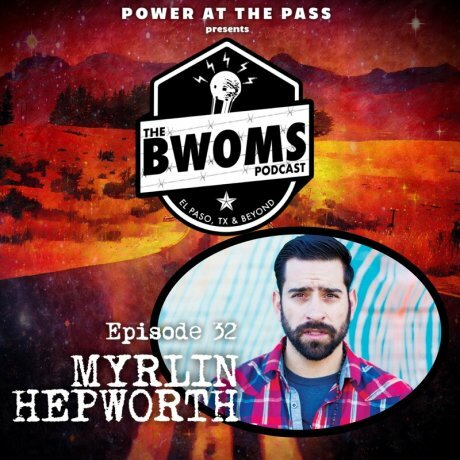 On this episode, we welcome our good friend, Myrlin Hepworth into the studio. We discuss the worlds of poetry, education, music production, being a traveling artist, podcasting, video production, and his newly released album, "Remember Why." On this episode, we welcome Jordan Bubin a.k.a. Naughty A Mouse. He is a poet and teacher from Phoenix, Arizona. He hops on the microphone as Naughty Mouse to educate, as well as entertain. As a graduate of both Princeton and USC Law, he never let his schooling get in the way of his education, and his passion is making knowledge accessible and exciting to everyone. We caught him on his "Fine White Powders" tour where he mixes slams from his new illustrated zine with storytelling from the history of cocaine, heroin, and sugar. On this episode, we welcome C’bs Alife Allah into the studio, co-author of the Hood Health Handbook Vol. 1 & 2, Knowledge of Self, and Science of Self. He was in El Paso as part of his D.O.P.E. (Decolonization of People Everywhere) conference tour as well as a featured speaker spot in EPCC’s Spring Arts Festival where he discussed radical self care. On this episode we dive into the Hood Health network, looking at health through the lens of hip hop, living a plant-based diet, the importance of controlling our narratives, deconstructing “soul food,” environmental racism, uplifting community, zombie foods and so much more! 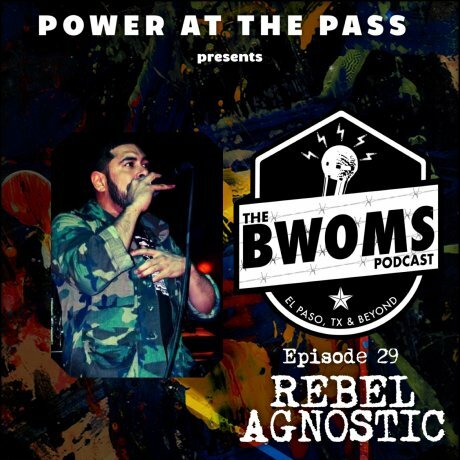 On this episode, we welcome lyricist and spoken word performer, Jesus Gomez Jr. a.k.a. Rebel Agnostic. We talk about his early days performing, Ribo Flavin', collaborations, upcoming projects, martial arts, listen to some acapella , and his upcoming EP.